Nature Therapy is a research-based model that improves psychological well-being by providing people with sensory experiences in the natural world. This type of experience allows for a deeper understanding and repair of the individual's relationship with the rest of the natural world. Current research and applications of nature therapy will be reviewed, including the Japanese practice of Shinrin Yoku, and its Western counterpart Forest Therapy (aka Forest Bathing). Participants will have an opportunity to experience a typical ANFT Forest Bathing walk to deepen their understanding of the differences between this eco-therapy practice from other outdoor activity. Explain the theoretical premise of Eco-psychology and Eco-therapy. Identify the effects on brain functioning that occur when experiencing the natural world. Describe the difference between nature therapy and a common outdoor activity based on their personal experience of a Forest Therapy walk. Julie Brams, MA, LMFT, LPCC is a licensed Marriage and Family Therapist, Professional Clinical Counselor, for twenty-seven years and additionally is a Certified Forest Therapy Guide and Meditation teacher. Her practice integrates traditional therapy, the latest advances in the field of energy psychology and Eco-psychology practices. 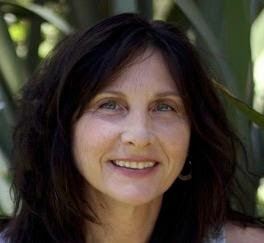 Certified by the Association of Nature and Forest Therapy, she leads Shinrin Yoku based Forest walks and workshops locally as well as at the Los Angeles Arboretum. She has presented on the topic of Eco-psychology and the neuroscience of nature for California State University Northridge, The American Public Health Association, the Institute of Noetic Sciences, church groups and synagogues.